With a strong focus on tradition, elegance and of course, performance, Longines is a brand that prides itself on creating versatile timepieces that have been built to last. Founded by Auguste Agassiz in the Swiss town of Saint Imier in 1832, Longines has propelled itself to one of the world’s leading watch brands with it's 185 year proud history of creating elegant watches with innovative engineering. Fully automatic making full use of the heritage and engineering prowess that Longines have perfected over the last 180 years this Longines Flagship Watch is as feminine and delicate as it is well made. Featuring a white roman dial, silver hands and date window housed in scratch resistant sapphire crystal a large amount of functionality is present in this excellent example of traditional craftsmanship bought up to date using modern materials. Complimented by a 26mm stainless steel case with matching understated bracelet this watch has a lavishness about it that is difficult to find. 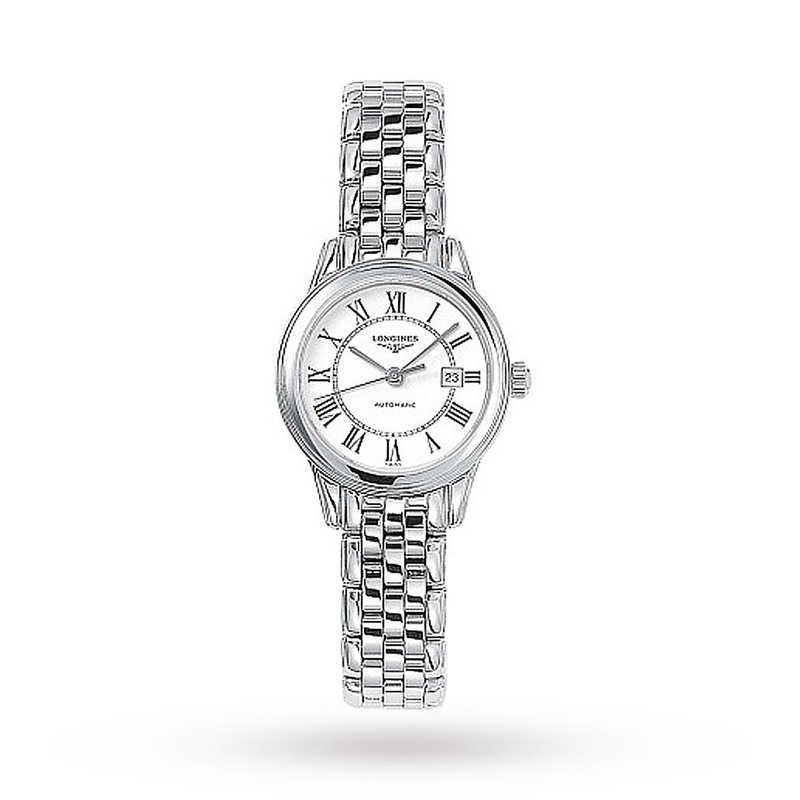 Sophisticated practical ladylike and well made this watch is a must have for the modern woman who wants a timeless piece that would work as well with a cocktail dress as it would with a business suit.